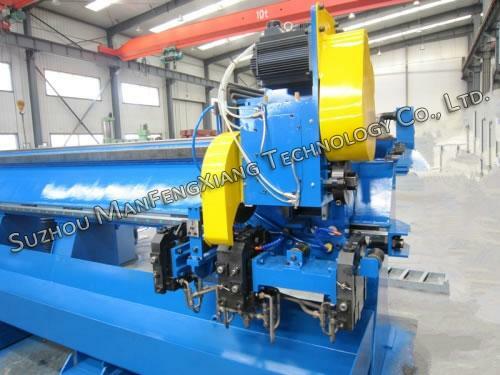 Stainless steel tube making machine is complete equipment for welding steel pipes. 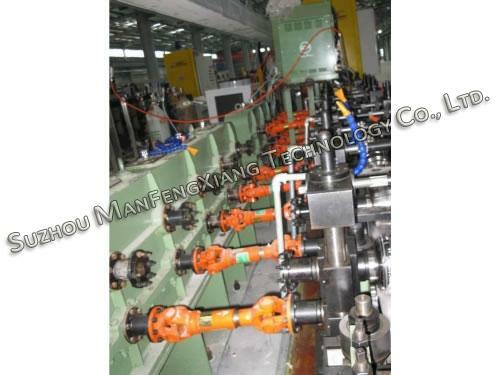 It is also named as stainless steel pipe welding mill or stainless steel pipe production line. According to different material property, industrial stainless steel, titanium steel welded pipe mill are characterized by low speed, high precision requirements. 1. 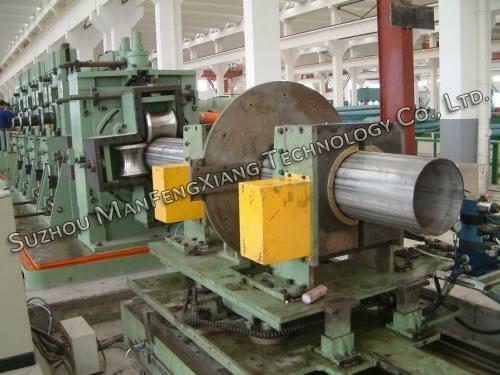 Stainless steel tube making machine is able to produce steel pipes with large pipe thickness and high precision. 2. We emphasize high quality of tube making equipment and have established a series of production sequence and systemization. 3. 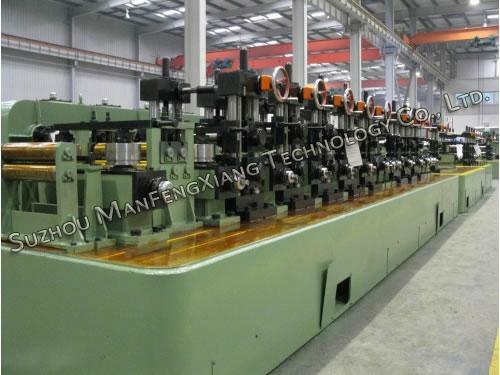 We have improved the precision degree of stainless steel tube making machine to ensure stable and smooth production. 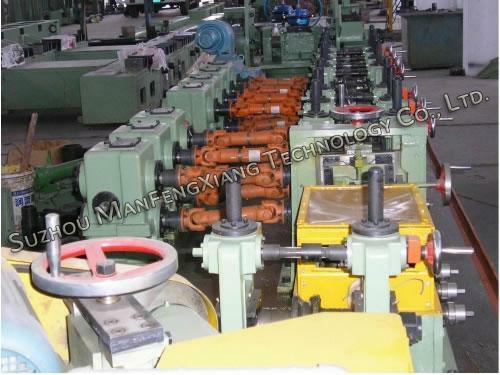 At the same time, the production cost is greatly reduced and pipe quality has been improved. 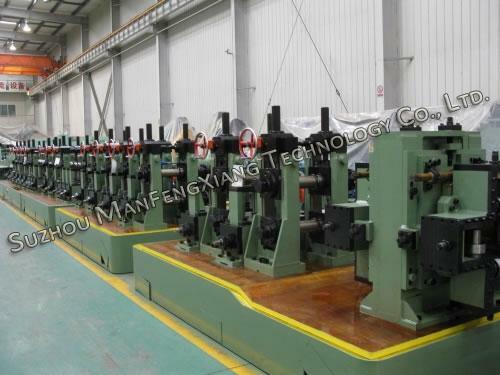 Stainless steel tube making machine is mainly used in the production of stainless steel pipe (round, square, rectangular or shaped) in decorative and industrial fields. 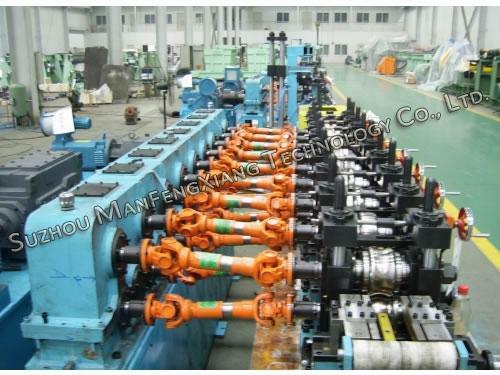 Uncoiling, forming, welding, polishing for the outside weld sizing, cutting and so on. 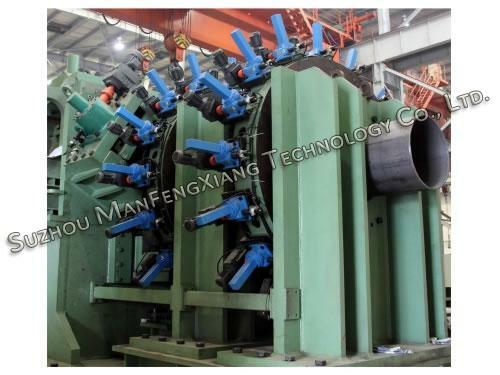 In addition to conventional equipment, but also can provide the special requirements for the industrial stainless steel pipe equipment: steel cleaning, automatic seam-oriented, within the weld processing, weld solid faction processing, anti-weld torsion. SUZHOU MANFENGXIANG TECHNOLOGY CO.,LTD. 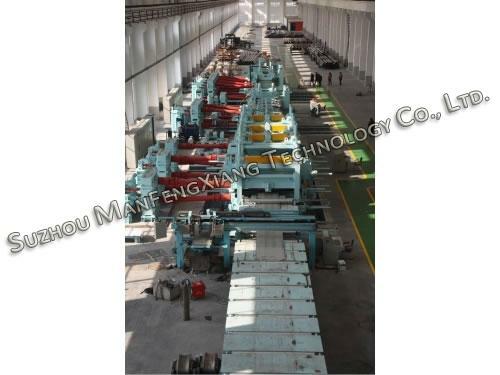 is a specialist manufacturer for different steel bending and forming equipments, including welded pipe mills, steel roll forming machines, hydraulic press brake machines, shearing machines and so on. These products are widely utilized in construction industry, especially for factory building, warehouse facilities, store facilities. All our machines have passed CE certification.